Applicable Rings: Fast Store update. 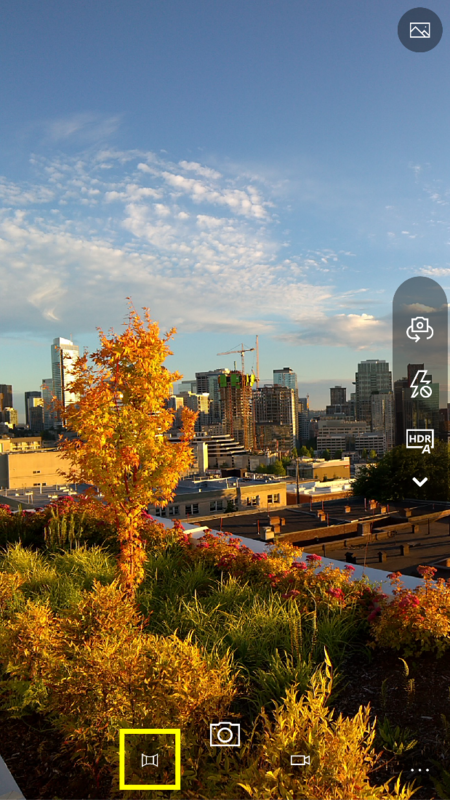 Today we are rolling out an update to the Windows Camera app that brings a highly requested feature from Windows Insiders: Panorama mode. Because the Camera app is a UWP, this capability extends to PCs and tablets in addition to phones. We have tested the new Panorama mode works with the Lumia 950, Lumia 950 XL, Lumia 550, Lumia 650, Surface Pro 4, Surface 3, and Surface Book. If you are using other devices, let us know how this works for you and any issues you hit! 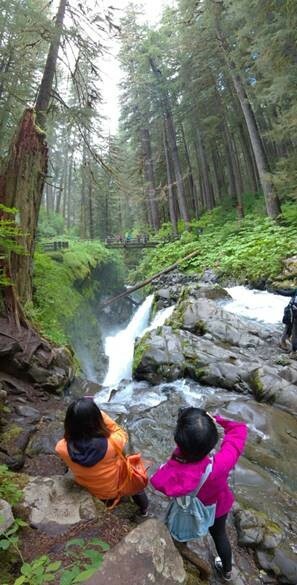 To take a panorama, switch into the panorama mode by tapping the Panorama button. Tap it again to start capturing, and then, starting from the left side of your subject, rotate the device slowly from left to right across the scene. Steadily rotate your device from left to right, without moving it up or down—just follow the arrow indicators. 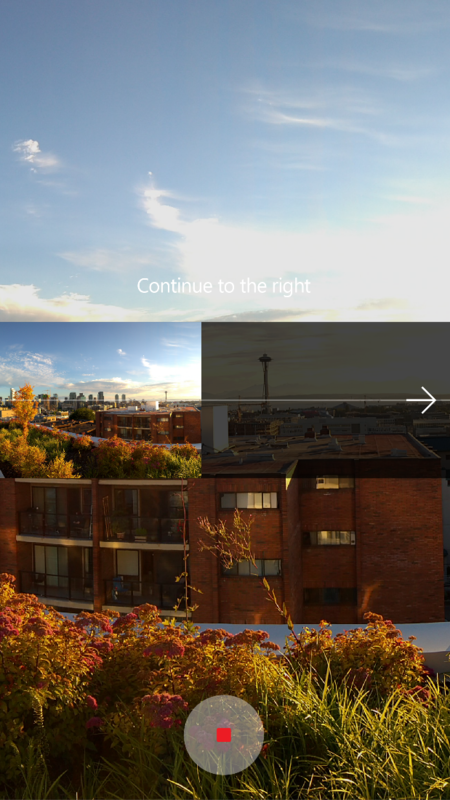 When shooting panoramas, the device is locked in portrait orientation. Try shooting a vertical panorama of a tall building or other landmark by turning the camera on its side and slowly rotating the device from bottom to top.